It’s been over ten years since Hellboy last hit the big screen, but “the world’s greatest paranormal investigator” is getting a comeback in 2019. Hellboy creator Mike Mignola held court at the New York Comic Con panel for the reboot film, which stars David Harbour in the title role. Fans in attendance were able to see the first clips from the new movie, which haven’t been released online yet. The video wasn’t quite a trailer, but it did jump around to different parts of the story. Hellboy’s encounter with a SWAT officer was played for laughs, as he was immediately fired upon. Hellboy was humorously annoyed as he reminded the officer that he’s on his side. 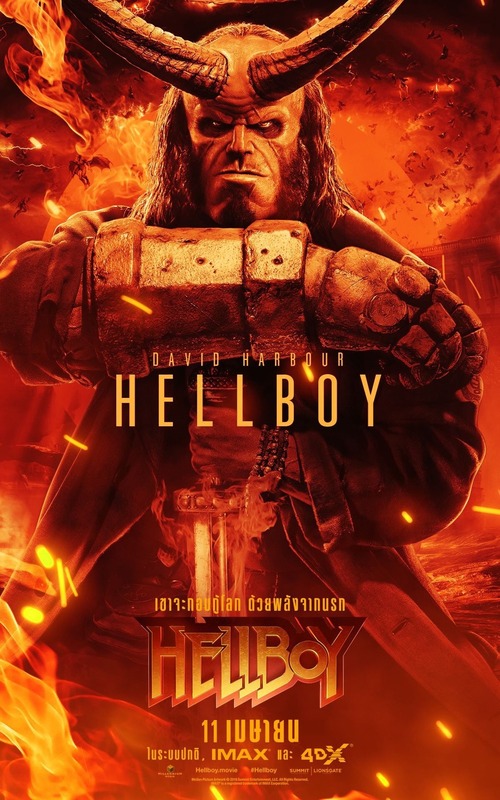 In another scene, Hellboy explained what his Right Hand of Doom can do (it smashes things really well), and he had an interaction with Milla Jovovich’s Nimue, a.k.a. the Blood Queen. 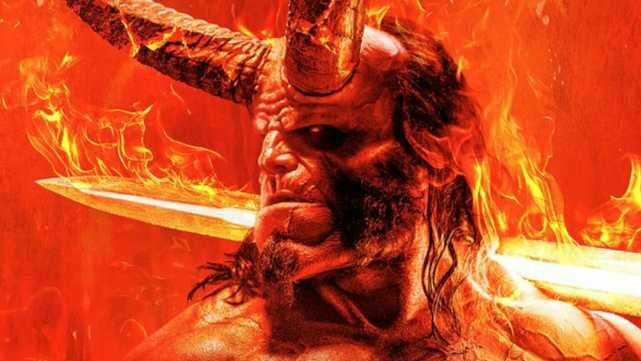 Perhaps the most unforgettable image of the reel featured Hellboy emerging with his flaming crown and sword, which was recently glimpsed on the first poster for the film. That poster called him “Legendary AF,” and it seemed to be an appropriate way to describe him here. Sasha Lane’s Alice Monaghan and Daniel Dae Kim’s Ben Daimio also appeared in the footage. Ian McShane’s Professor Trevor Bruttenholm had a pivotal moment when he gave Hellboy his iconic gun. Bruttenholm is Hellboy’s adopted father in the comic and the movie, and he was responsible for his upbringing. At the panel, Mignola and Harbour indicated that the new Hellboy movie won’t be based on any single comic. Instead, it will draw upon various aspects of the title character’s adventures. Harbour also proudly spoke about the film’s practical effects and monsters, as opposed to relying on CGI. He called out Avengers: Infinity War‘s Thanos by name, but he was clearly joking. Hellboy will be released in April 2019. Are you excited to see the reboot film? Let us know in the comment section below!